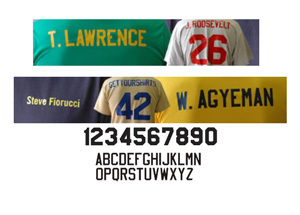 Ordering Kiwanis T-Shirts and Embroidery is easy! Your Kiwanis Club will look great in their new shirts! View pricing info in the Design Idea Viewer. Kiwanis T-shirts are most often associated with events. 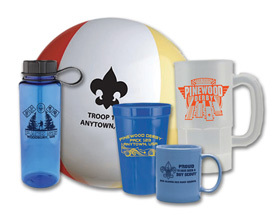 We can create a cool design for your Kiwanis Club Event that everyone will want to buy. Kiwanis Club T-shirts will raise awareness about the great things your club is doing in your community! We do to types of embroidery for Kiwanis Clubs. 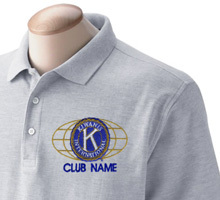 Standard Kiwanis logos with your Club name are the most popular. Many Kiwanis Clubs have a design they have used for years or want a cool new one. We do a lot of those as well. Custom designs are no extra charge!